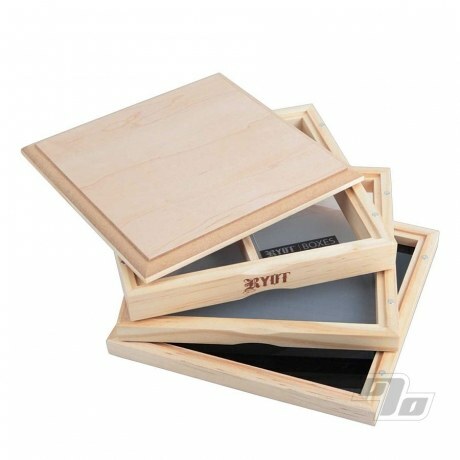 The RYOT Dual Screen Solid Top 7x7 Pollen Box comes in a natural finish with careful construction at every layer. Featuring two 100 micron mono-filament screens, a seamless glass tray, movable herb divider, and magnetic closures to keep your herb secure. The dual monofilament screens create two distinct qualities of pollen. This is the larger "kief" box (or whatever herb you prefer) for a higher output than the comparable RYOT 4x7 size. This dual screen box is also a great way to create incense, potpourri discs, as well as holistic remedies. The pollen box can also function as a humidor for loose tobacco storage. 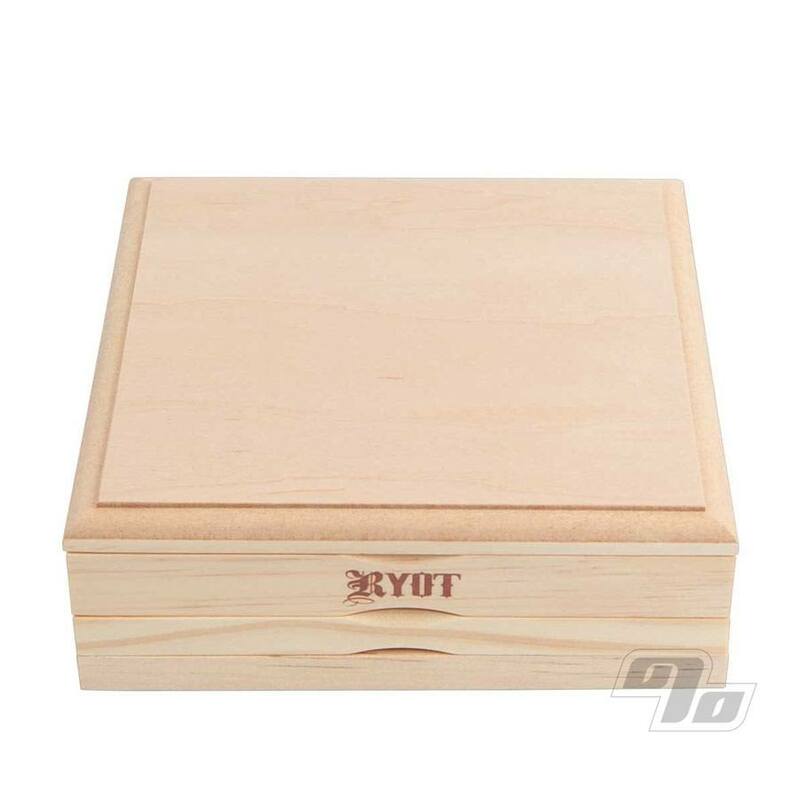 Whatever your use this wood box is intended for the high class connoisseur who wants to hold their herbs or tobacco in style while conserving and using every last bit. Solid wood construction with natural finish measures 7 inches wide by 7 inches long and 2.5 inches tall. Interior Box Depth: 0.75"; Top Screen 0.5" Bottom Screen. Classic engraving on the inside of the lid. Includes a RYOT pollen scrape card. For a limited time, get a FREE Integra Boost Humidity control to keep your herbs fresh with the perfect moisture level. The 62% Boost helps maximize the color, aroma and taste of your blend.